Is there a better alternative to BB? Is BB really the best app in Applications category? Will BB work good on macOS 10.13.4? 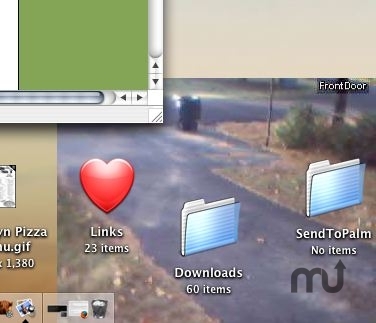 A simple webcam viewer for Mac OS X... I've gone through three different Mac OS programs to watch the webcam on my front door. All of them had varying stability problems, and I got sick of rebooting my PowerMac just to bring my pasteboard server back to life after one of the cam apps killed it repeatedly. BB needs a rating. Be the first to rate this app and get the discussion started! So what's a Cocoa-speaking geek to do? Code my own of course.... I got fed up yesterday after rebooting to resurrect my pbs. My sweetie was just heading out to go grocery shopping, and I joked that I should be able to whip something up before she got back. Indeed, it was quite functional 15 or so minutes before she returned. I've put a bit more polish and some configurability on this, and maybe someone else will be able to use it. I've dubbed this B.B. I'll let you guess why... Just download the tarball from below, uncompress (Stuffit will work fine), and move the BB into Applications. BB uses the auto update system from GAPS, so you can check for new versions whenever you like. Using BB is about as simple as it gets. Look in preferences to set the URL of the image you want to watch and to choose how often to refresh the picture. If the pic you're watching isn't on your LAN, you should be careful how often you reload the image lest your computer and/or Internet connection get overloaded. Once running, you can choose whether you want BB to stick on your desktop, act as a normal window, or be always on top. Look in the Window menu for those settings. You won't be able to move or resize the camera window when it's on the desktop. Choose BB's icon from your dock, then choose the option from the Window menu to make it a normal window. Then you can move and resize BB as you like it and stick it back on the desktop to stay. Of course the URL, refresh speed, and window placement are saved when you close BB and will be restored next time you run it.